Today, there are several popular mobile phone brands in the market. Every brand has its own features. Some of the features are common in every brand, whereas a few others are unique in a brand. However, now a days, every brand launches models with different features. Due to this, almost every feature can be located in every brand in some of its models. BlackBerry and Sony Ericsson are the two leading names in the gadget market. The features of both these gadgets are getting the attention of people. Both these brands are launching several models in the market with a lot of sophisticated features. 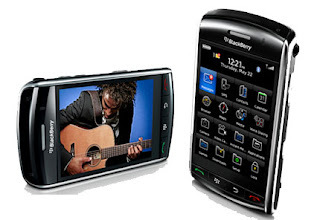 For the instance, one model of each can be taken – BlackBerry Storm and Sony Ericsson W595. Both these handsets comes enhanced with advanced technologies and has the potential to support both 2G and 3G networks. The TFT touchscreen of both these handsets would allow the users to view crystal clear images. Apart from all these features, all the built in functions can also be easily handled due to the touchscreen option. You can get in touch with people through their text and multimedia messaging services. The Bluetooth facility is existing for the purpose of transferring the videos, images etc., to other compatible devices. BlackBerry Storm is a bit heavy in weight, having weight of 155 grams and dimensions of 112.5 x 62.2 x 14 mm. It contains the storage space of 128 MB RAM, 1 GB storage memory and 624 MHz CPU. You can add more memory of up to 8 GB with a support of a memory card. This widget supports 65K colours. BlackBerry maps is one of the most common features which one can find in almost every model of this brand. Music can also be enjoyed through its audio player that elegantly support MP3, WMA and AAC music file formats. Moreover, it also has a video player option. Like other gadgets, it also supports 3GP format. In addition to this, WMV, MPEG4 files are also supported. Moreover, every facility which is supposed to be a necessary in the widgets now a days such as HTML browsers, games for gaming lovers with downloading facility are also available in this. Sony Ericsson supports 256K colours. It has 104 grams of weight having the dimensions of 100 x 47 x 14 mm. It has 40MB of shared memory and 2GB more can be added in its card slot. This widget has a Walkman player to listen the music. A high battery backup has been provided in this gadget. The standard battery of this gadget can deliver talk time of up to 9 hours and standby time of up to 385 hours.Apart from all these features, several other features can be counted which are similar in these two models of different brands. Many of them are discussed earlier. Some others can be taken as their camera features. Both these models have 3.15 mega pixels of camera that has an image resolution of 2048 x 1536 pixels. Conclusively, it can be seen that both BlackBerry Storm and Sony Ericsson W595 models contain all the advanced features which are beneficial for the users. If a feature seems to be less in any of these, than that is very less in front of its excellent features. Users will not be in loss if they purchase any of these models.